Biggest One Day Session All Year! Well, it was a good final session of the year for me and a good start to the new year. It was a nice slow and steady climb, just how I like it. I called a few bluffs and made a few hands to slowly built my stack up. 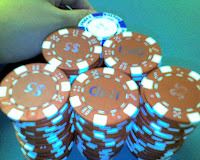 I never got involved with any large hands and before you knew it my stack was over $555. Nicole was running hot! and just kept felting everyone with her rags. Luckily, I was able to stay out of her way and she paid me off 3 out of 4 times we played together. My New Year's Resolution is to Gamble less and play like a machine. This doesn't not mean no more Poker. It just means to avoid taking to many chances and long shots without proper pot odds. Many people equate Poker to gambling, but for me it's not gambling how I play. I like to say, I play with a slight edge ("only the nuts..") and like most casino table games, in the long run, I cant lose, because mathematically I am always ahead I will stay ahead in the long run. Here is a chart by month. I managed to have just one losing month in November and the rest were profitable. My monthly average is right at $600/month. The way I see it, I make just enough to pay my rent or pay for my girl friend expenses.. I made a bit less in 2009 compared to 2008. 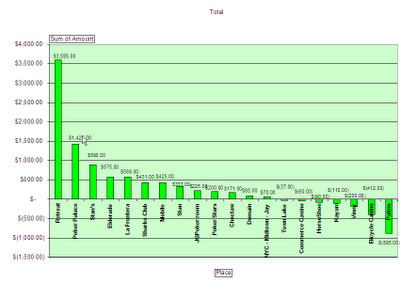 My average in 2008 was $692/month, but I played more in 2008 when I lost my primary job for 2 months. Here is a Cumulative Chart with each session mapped out. In total, I played 87 sessions in 2009. This compares to 108 sessions in 2008. 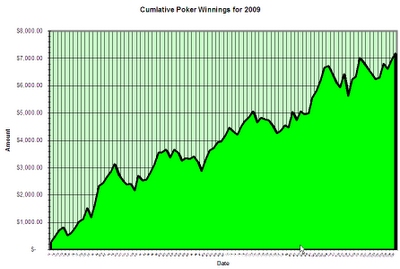 That is about 1 in 4 days playing poker or about 24% of the days in 2009 playing the game. 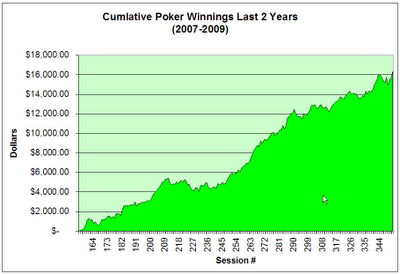 My average winning per session is about $82.64 which is better then my 2008 stat of $76.94 per session. As you can see I don't win all the time, but its a slow and steady rise like a stock. 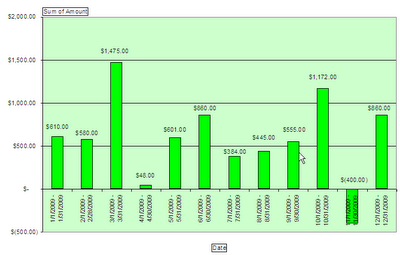 It doesn't always go up, but in the long run it is trending up and I ended the year at my 12 month high of $7,190! My 2008 winnings were $8309, but I played 21 more days during my unemployment in 2008. Here is a chart by location. In total, I played at 20 different locations. 13 of those locations were profitable and 7 locations were deposits for me, but nothing larger then $895. AUSTIN (KXAN) - Catered food, high-profile players and thousands of dollars on the table set the scene for an armed robbery in Southwest Austin. Sources said gunmen broke into a high-stakes poker game around 11 p.m. Dec. 9. Wearing masks, they entered the apartment, assaulted some of the players and then took off with more than $20,000 in cash. APD confirms there was an aggravated robbery at the apartment that night involving two suspects and the investigation is still open. "From what I understand, investigators are at a stalemate," said Commander Chris Noble with APD's organized crime division. "The victim is not being cooperative." But, Mike Lavigne, the Texas State Director for the Poker Players Alliance , blames antiquated laws for the robbers' success and the unsolved crimes. "A lot of times people don't even call the cops if these places get busted by a thief because it's not legal for them to be necessarily running that room in the first place," Lavigne said. Poker becomes illegal in Texas when the House makes a cut. In the case of these underground games, poker hosts can pocket hundreds of thousands of dollars a year for putting together the events. The nights usually involve catered food, free massages and, in some cases, extra security. "It's not seen as a crime in most parts of the world," said Lavigne. "It just happens to be the leftovers from some old laws in Texas. It's not clear what's legal or illegal in our state right now." Participating in an illegal poker game is a Class A misdemeanor. But, even with the minor criminal penalty, police said players and homeowners are reluctant to report an attack or a robbery. "There's no incentive, if you will, for the victim to cooperate with the police," said Noble. Cooperating with police involves identifying the players, which will then lead to an investigation - minor questioning, at the very least. And, that will likely kill a house's customer base. "These players don't consider themselves criminals," said Lavigne. "They just want to be able to play with their friends in an environment without being hassled." Tim Kelly, who founded the Austin Poker Alliance , is another avid fan of the game. Kelly, however, only participates in legal games and often sets up several tables at his own house. "We'll fill up the place," Kelly said. "But, it's secure. When they come into the house there is a set time when registration is basically over and you're not really going to get into the house unless you break in." Kelly adds that many of the players are licensed to carry concealed handguns. "If they do break in, the criminals are risking their lives," said Kelly. Kelly agrees that poker laws should be loosened in Texas, but said defying the laws in place now is too great a risk. "I won't affiliate with it simply because of the danger that you're asking about," he said, referring to games where the house gets a cut. "I won't have anything to do with it." There were similar robberies of poker games in Houston and Dallas in the last month. In both cases, the robbers were caught. "You don't know what you're walking into until you walk in," said Lavigne. "You know, the fact of the matter is, eventually someone is going to come through that door with a gun - whether it's a cop or a robber." In the case of the Gaines Ranch Apartments, APD said there are still no suspects in custody and they are working on getting more information from the victim. My 2nd round in the big blind I look down at pocket Queens. The action before had one guy under the gun raise to $10. Another guy re-raise to $20. Mike calls and a 4th guy, maniac, calls the $20 and so I re-raise to $100. The guy under the gun folds, he said he had pocket 99s. The 2nd guy goes all-in for $113 with A♦K♠. Mike calls and a maniac calls suggesting pot odds. The pot is now over $400 with 3 all-ins. The flop was 9 high and I take it down. My re-raise pushed out the only hand that would have beat me... Now 3 guys have been busted out and my stack is up to over $500. Shortly later two more people cash out and the game ends as we are 3 handed. I was kinda glad to take the money and run. Anytime you can win over $300 in less then one hour you better take it! I was on a bit of a heater hitting pocket 10s and Jacks, all with-in this first hour of play and they all held up. Went to Shreveport, LA for the holidays. Also took a little tour of East TX. I manged to get a speeding ticket in tiny city of Rusk, TX. I was clocked going 52 in a 35 zone. The highway changed from 70 to 35 within the city limits and I was in the process of slowing down when the cop pegged me. Hopefully, I can explain to the judge and get a warning. I didnt even pass the 35mph sign when he pegged me. Anyways, there are plenty of Casinos in Shreveport but none in Texas. The only Casinos that host a real poker room are Eldorado Resort and Harrah's Horseshoe in Bossier City, just across the river. During this trip I only played at Eldorado's. My last trip to Shreveport was in August and played at Horseshoe. I lost $90 back then. I heard the game was better at Eldorado's so I focused my efforts there. The trip was a success and I made $575 total. My 2nd night was Christmas night and it was off to the races from the start! I cracked a set of kings with J♥9♥. Then cracked pocket Aces with J♦9♦ suited again to the same guy. The guy kept slow playing this big pairs and I kept cracking them my rags. He told me that I should never fold J9. He had Aces again later on in the evening and I cracked them with 5♦7♦ suited. I chased a flush and hit, on the river. It was just one of those nights where the rags were hitting. If you need gift ideas for a typical guy, then here are some ideas. Most guys like gadgets so here are a few that I personally found this year for myself.. They are for the guy that has it all.. Click on any of the pics to take you to a store where you can buy it.. 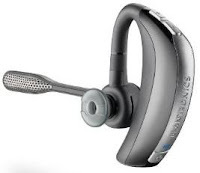 This is currently the best Bluetooth headset on the market today. It even beat out last year's Jawbone headset and is a bit cheaper. 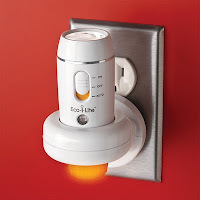 This little gadget uses LEDs to lite up and charges wirelessly by induction. Pretty cool in an emergency. This $10 device will sound up a small room. 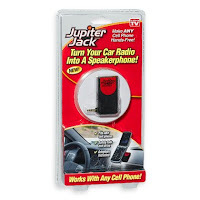 This is a device that allows you to use your car's radio to connect your cell phones speakers for a wireless setup. This convenient organizer allows you to recharge all your gadgets in one place. 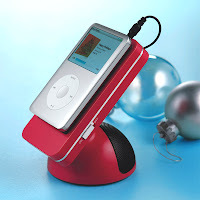 For the someone that has a phone, headset and mp3 player it is very handy.. 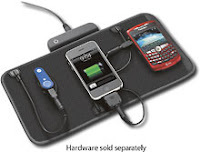 It's also allot cheaper then the Powermat. This cool device will wirelessly transmit your pics from your camera to your PC or the Internet. You can actually get a free one if you upgrade your storage space with with Google. 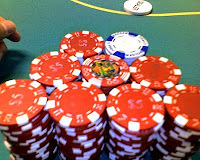 Friday night was my biggest night at Poker all year! I cashed out $900 even and netted $700. I looked back and I haven't made that much in one night, all year long! The amazing part is that I'm not to sure how it all happen. I did log all the big hands on twitter, but looking back it's hard to remember the big pots! I will check my logs now and try to recall the exact amounts. After 5hrs of waiting, I finally hit my first set of 444s. It was a 7-way pot and the flop was 42K. A new guy bets out $35 and Nicole calls. I re-raise to $100 and both call. The turn is a 7 and they both check to me and I push all in for about $120. The new guy calls and Nicole folds. He shows AK and I take down the $540 pot! The guy said that he would have folded if I had more money. In other words, he was willing to give me $220 with top pair, top kicker... Thanks man, Ill take your money. About 1:20hr later I get pocket kings and re-raise Nicole's $22 raise. She is now short stack and pushes in for another $75. She had 2♦ 4♦ suited and hits a flush! That knocks my stack down to around $380. Nicole proceeds to give my money away to everyone else at the table. As a side note, Nicole's stack was up over $1500 at one point, but it didn't last long as she literally plays every hand she is dealt and donated it away to everyone. At 7hrs of play I hit a set of 999s and take down a modest pot of $50. Twenty minutes later I get pocket Kings again and felt Tiger. He had raised $15 and I re-raised him another $35. He calls and the flop is Jack high. Tiger bets $45 and I push him all-in for another $150. He calls and never shows. I assume he had AJ and take his stack. My stack is now at $600. Ten minutes later I have A♥7♥. I call from the small blind and the flop is 6♥7♠8♥. Bobby bets out $12 and I call. The turn is a 5♥ of hearts and I bet out $25. Bobby re-raises be to $45. I smooth call looking for a straight flush. The river is a 2♦ and I decided to trap and check. Bobby bets $50 and and I realize I have a blocker to the straight flush, and push all-in. Bobby instant calls and shows a straight with 7♠4♠. My Ace high flush takes it down! Now my stack is around $750. What happens in Omaha when a short stack flops a flush draw, Billy flops a wrap, Worm flops the nut flush draw and Anthony flops the nuts on the button? You get one huge pot! It was a wild session of poker last week. I decided to give Omaha a try. Got down $800 first night and made it back Friday night. Check out this $1100 pot!